I don’t remember tying a single fly last summer. The warmer months become a blur when you fish hard, and some things, especially vise time, fall by the wayside. There is something instinctive in me that awakens when the flakes fly. Akin to spawning rituals or yearly migrations of fish and game, when the days get shorter, I get on the vise. Ideas swirl around my head during summer, usually written down on scraps of paper before I forget them. Most of these “ideas” turn into the curse of reinventing the fly-tying wheel, often stumbled upon or thought out years before I even tied my first fly. It seems every time I come up with a “new” idea, someone thought of it years ago. Is there anything new under the sun when it comes to tying flies? The answer to this question is a resounding yes. And no. Every year new patterns are released by contract fly-tiers the world over, and some of them are quite interesting, utilizing new materials, techniques and so on. There are some tiers out there who are true artists. Other “new” patterns are simply variations of someone else’s proven flies. However you look at it, it is always interesting to see the new offerings every year. Most longtime fly-fishers know the right drift to the right fish beats having that “right fly,” at least most of the time. 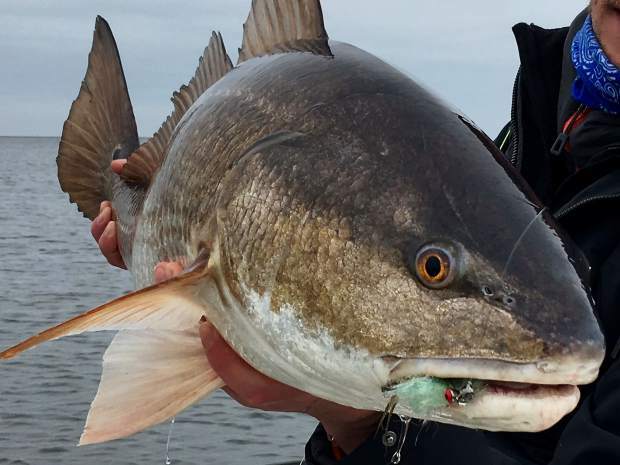 I have been on a redfish fly kick so far this winter, spinning up large, flashy and hairy forage shrimp and crab patterns for these beasts of the marsh. These flies require big rods to throw them, which is a welcome distraction from trout fishing. After I get those out of my system, I’ve got an adult crane fly for the Fryingpan that has been kicking around in my head since summer. 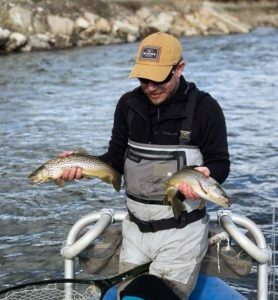 There is always something to look forward to when it comes to fly fishing, whether it is a destination trip, learning a new technique or simply spending quality time with good friends on the water. For me, I look forward to those eureka moments at the vise, too!